Hey guys. I'm lookin' for a grail - not because it's pricey (it actually doesn't go for much when it DOES pop up), but because it's hard as HECK to find. 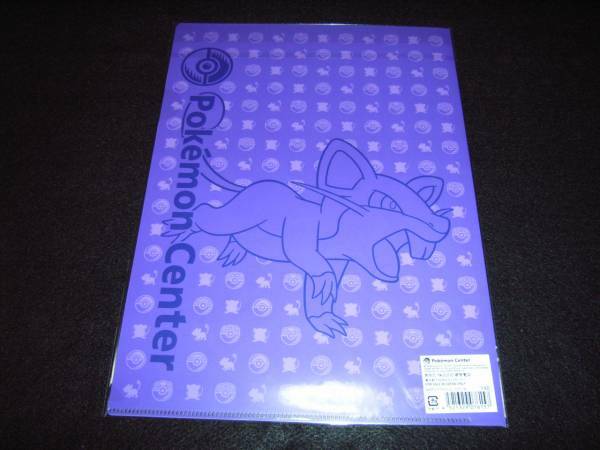 I'm looking for the Rattata Clearfile. Right now, I'm seeing if anyone on the comm even HAS it. I missed it on y!J recently and have been smacking myself ever since. Thanks!! Here are the pics of every single stamp test! There were no missing stamps apart from one of my Pikachus was not included. :'( I'm kinda sad, I was excited for it. Payment 3 covers the customs fee for the parcel arriving in the UK, postage, packaging and paypal fee. Prices given are for the USA, please reply below if you are not in the USA. If you missed payment two, only pay the green column! Do not send money as Gift! Include your username in the payment memo AND title! Ready? Here is the spreadsheet! Extras! $1 each! Non GA participants welcome! 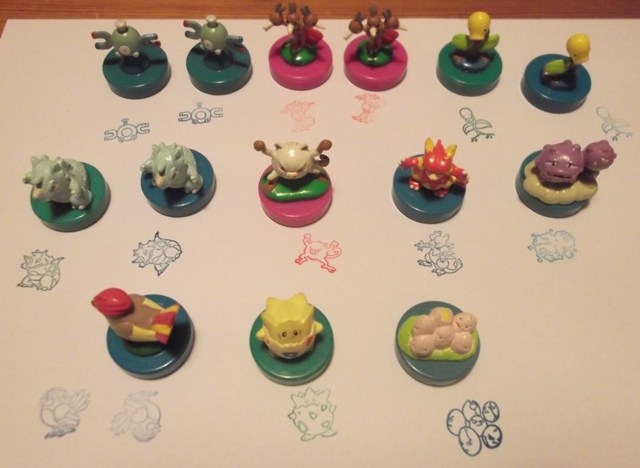 Remaining stamps are: Mankey, bellsprout, weezing, ryhdon and dodrio. Please note: I messed up one or two of the ordered stamps in the photos. The bagged and packaged ones are correct and double checked by my helper. Any posts whining about me confusing claimed stamps in the photos will be ignored because it means you didn't bother to read this. this is my first time posting so first i wanna say hi! So ive recently fallen in love with pokemon center pokedolls and i have a few im trying to find! im looking for: Raikou, Entei, Snorlax, Axew, Lugia, Dark Lugia, Lucario, Dialga, Darkrai and Arceus. Please let me know if any of you guys have them for sale/auction and how much!!! A few days ago after a string of incidents we did finally ban the member natsume_85 ("Elisa Tokumoto Kishaba de Chang" or "Maria Chang Tokumoto"). She is not taking it well, and has begun to send slanderous and vaguely threatening messages to members. As this person is extremely aggressive and vindictive, if you were in the middle of a transaction with this member, I highly recommend canceling immediately and refunding any money, or you may have it disputed whether you send items or not. More details can be seen HERE. This sticky will expire in two days! For pics of the collection update and the WIP sculpture please visit my cut. Hi all! I just wanted to come here before I ran to Pokevault, but I'm after the N rubber strap. Brian's price is a little too high for me, so maybe I can get it cheaper here? We'll see! 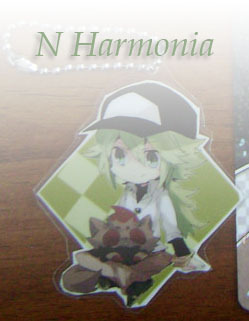 And just a quick sales link-- I have a lot of TCG for sale with free shipping for up to 6 cards =D Thanks! I'm looking to see if anyone has heard from mismagiuslatley? I sent my part of the trade and she told me she had gotten it. But she still hasn't sent her part. If anyone had any info regarding her, please let me know. I've been able to trust HLJ's shipping in the past; it's always been a consistent amount of time between "your order has shipped" and "oh hey it's on my doorstep." This last one was about five days late, but I'm glad it finally came in! GIANT stamp auction payment reminder And Wants! I'm doing a last call for the stamp auction payments for the auction participants!!! It's been a very long time since I've posted here on this community, so I thought I'd come back with a bang. If anyone actually remembers, I collect all kinds of merchandise with my husband, Pokemon included. At first we collected just about anything we liked, but lately we've been limiting our purchases to Pokedolls, Kaiyodo, and the occasional standout plush. Our collection is currently boxed up while we work on our collection room, but I thought I'd share with you guys my own personal collection in the meantime. It's Been Awhile! I come bearing wants! 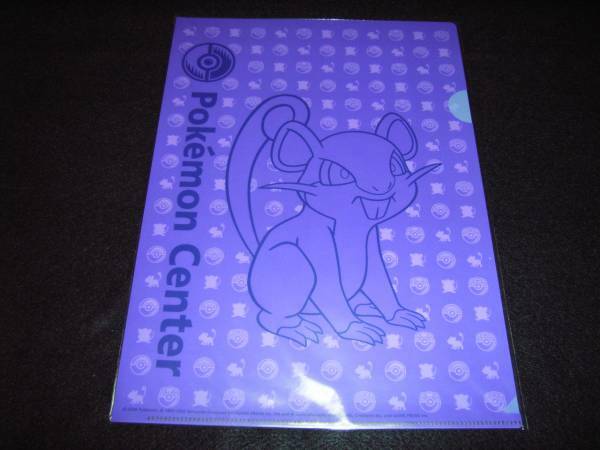 If you guys have any sneasel or weavile merch that is NOT on my list, I'd LOVE to see 'em~ I'll happily take them off your hands if I don't already have 'em! Not interested in stickers from "Collector" Sticker albums. Example HERE. Amadas and the "Korean Pop up Stickers" on the other hand are A-OK! And Now, for those Wants~! 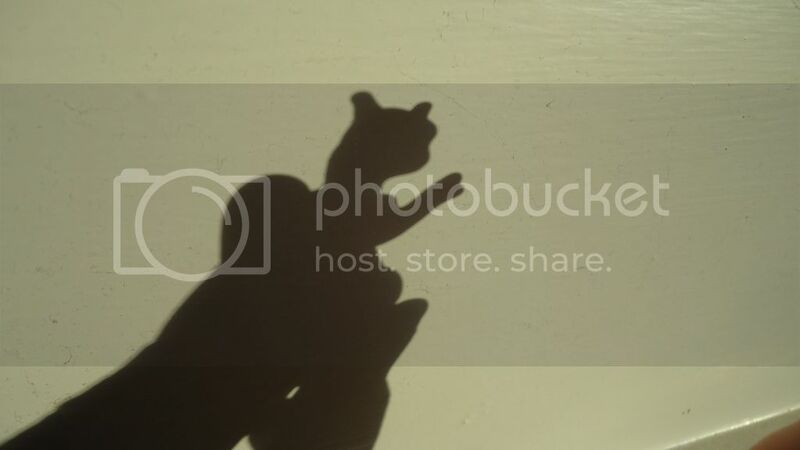 So I recently won a rather large lot of old Pokemon figures, and guess what I found inside? Which leads me to...some sales! Gets post! And Retsuden Stamp collection update! 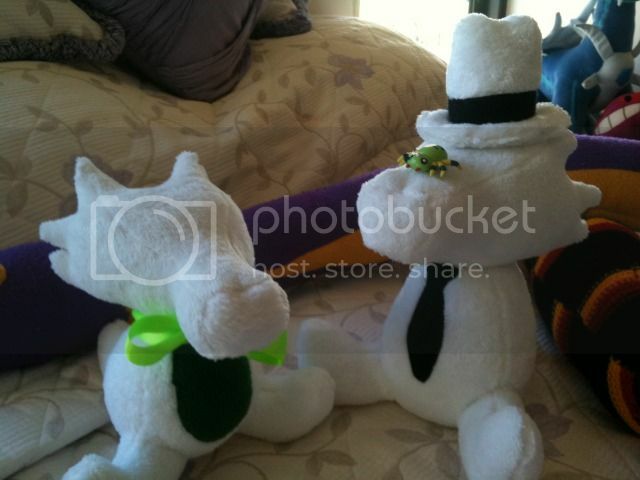 And a super special grail item too! Hey all! Just a couple of things to unload :'D in preparation for the new iPhone #loser #damn it. Unopened box of HS Unleashed - $95 shipped OBO! Giant lot of 80 holo rares .. $75 shipped OBO. Majority (95% +) are in mint condition. Full pics of cards under the cut!